THE JUDGE WHO granted Denis O’Brien an injunction against RTÉ has said that the public is not entitled to know “every detail of the affairs and operation of IBRC”. Judge Donald Binchy published the 21 May judgment this morning with what he described as ‘minimal redactions’. The judgment says that the temporary injunction was granted, in part, because the broadcaster did not prove that a request by O’Brien to extend the term of his loan was handled incorrectly by IBRC. The judge ruled that an individual’s right to confidentiality could only be breached in the name of public interest if there was a “meaningful connection” between the issue of public importance and the information being considered. RTÉ had argued that their news story by Business Editor David Murphy was about the corporate governance of IBRC. It contained details of loans and repayments between the bank and O’Brien. In the judgment, Justice Binchy outlined RTÉ’s argument that a verbal agreement between O’Brien and the bank’s CEO for a loan extension may not have been put to IBRC’s credit committee. However, “no such evidence of a substantive nature was presented to court”. The judgment was delivered in court on 21 May but the media were unable to report details from it until today when a number of redactions were made. Today’s published judgment contained four redactions. More redactions would have been evident had it not been for Dáil comments made by Catherine Murphy TD. RTÉ argued that the “avalanche of information” had come into the public domain in recent days and must be considered. Justice Binchy said that he took on board arguments from RTÉ’s legal team that statements from the Kildare North TD had brought additional information into the public domain. Email “Here's why RTÉ's news story about Denis O'Brien was blocked by the courts”. 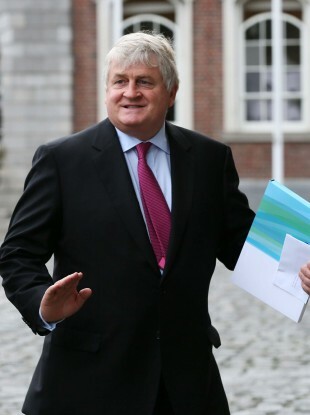 Feedback on “Here's why RTÉ's news story about Denis O'Brien was blocked by the courts”.